As prison minister for ISKCON HH Candramauli Swami is actively involved in prison preaching programs and guiding prisoners interested in Krishna consciousness. 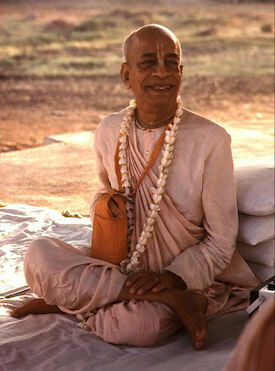 Find out more information about the ISKCON Prison Ministry at www.iskconprisonministry.org. This age is an ocean of faults. So many adverse situations. Krishna kirtan is the only means for transcending the material energy and coming to the platform of spiritual realization. The Lord empowers a specific means of self-realization according to the need of the age. In this age, the holy Name is everything. One who seeks pleasure externally, he is materialist, and one who seeks pleasure internally, he is spiritualist.